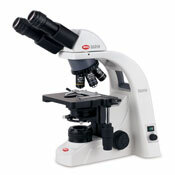 Each member of the BA310 family of high-resolution compound biological microscopes is a highly customizable and formidable tool designed to meet the most rigorous challenges. The Koehler illumination system (available with halogen or LED illumination) will dramatically improve viewing, as will your choice of Plan Infinity, Semi-Plan (EF-N) Infinity, or Phase Contrast Infinity objective lenses. With a binocular or trinocular head, the BA310 includes a large stage with an expansive travel range and completely redesigned slide holder that guarantees a tighter grip. Dual observation options include side-by-side or face-to-face configurations. 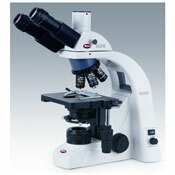 For the DIGITAL version of this microscope, please click HERE.